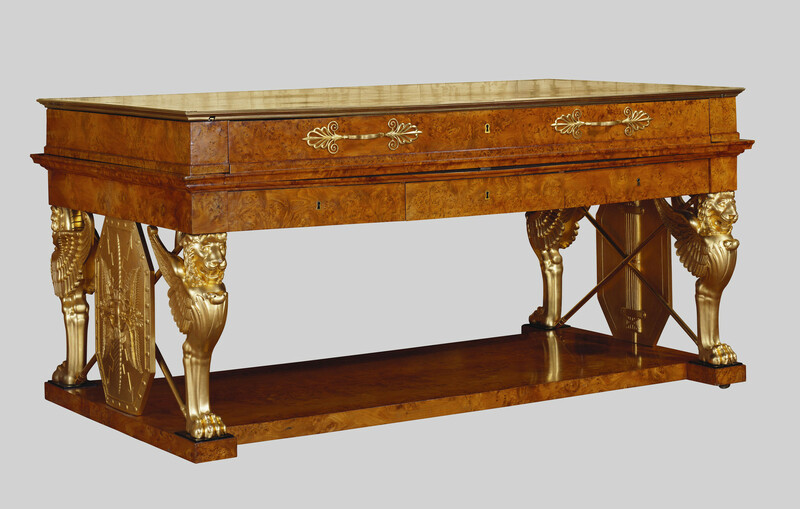 Elm writing table with "slide out" top, containing a drawer with anthemion handles above three short drawers, the legs each carved and gilt with a winged lion. The sides are formed from octagonal shields with winged thunder bolts and crossed spears. On an H-shaped stretcher base.